NOT recommended for: People who do not like hip-hop and rap. It has been a while since iKON released a Korean album. After more than a year of activities in Japan, the boys have come back with their signature hip-hop sound. 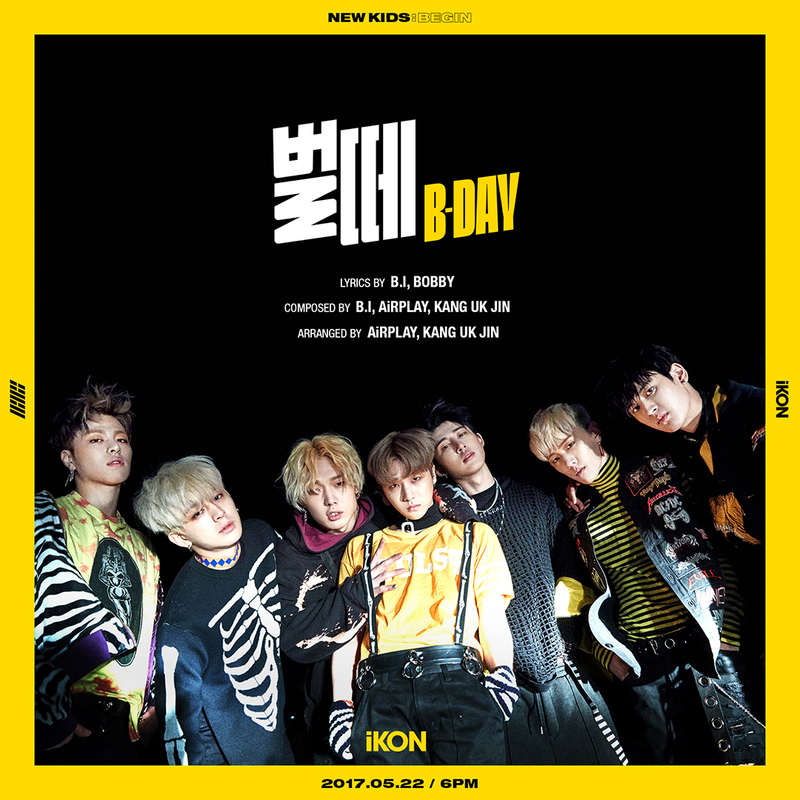 A far cry from their previous releases, which did not feature dance as heavily, “BLING BLING” and “B-DAY” may not necessarily be what iKON needs right now. Will they re-establish the hype they left as 2015’s monster rookies, or have the times changed too much? Let us start with the good: the choreography is absolutely stunning! This is iKON at their best. They made a name for themselves as a very talented dance group during their time in WIN: Who is Next but none of their debut-year tracks actually showcased their abilities. The dance also goes very well with the instrumental, allowing the members to dictate how they act out their verses. In this regard, all the members did very well. One thing made very clear in the music video is that B.I’s and Bobby’s charisma far exceeds that of the other members. Many fans have criticized the group for only being “B.I x Bobby and their back-up dancers” and sometimes this is true, with how many solo activities those two members have as opposed to the others. However, it is quite obvious that they have the necessary stage presence to not only add an extra flavor to the group, but do well as soloists. This is actually not a bad thing, and it also does not mean that the other members did not do well. But the rap-line delivered in every way. What detracts from this track is its dated instrumental. It is enjoyable, for about a minute. The song falls absolutely flat around the chorus, and the only time it gets interesting is right before Bobby’s verse. The chorus, in and of itself, is just the repeated ‘bling bling’ and while this is a hook in the same vein as what many successful songs this year have done, it is not catchy and adds nothing to the overall value of the song. The last part of the song adds more to the repeated ‘bling bling’ and despite sounding a lot like what Big Bang would do, I rather enjoyed it. ‘BLING BLING’ is a song with massive potential, between well constructed rap verses and an aesthetically pleasing choreography. However, the overall vibe of the song and the chorus are very disappointing. For a group that was away for over a year, this song does nothing for them (musically, of course). There were bees in this music video…….and that’s about it. I don’t know why they were there, but I guess they’re playing on the ‘b-day’? In all seriousness however, ‘B-Day’ is an even more forgettable track. Although the chorus has a bit more punch, it still leaves a lot to be desired. Unlike the previous track where they endlessly repeated ‘bling bling’, here they just make sounds that cannot be comprehended by any natural human perception. The song’s saving grace, however, is the music video. And perhaps Bobby’s rap at the beginning. The video is beautifully shot and plays on a lot of different colors to deliver an aesthetically pleasing experience. Bobby is his usual self and adds a very charismatic performance to a rather dull dance track. So what is the verdict? Well, these songs are not terrible. I enjoyed them actually, and then forgot about them just as quickly. iKON has some gems in their discography. ‘Rhythm Ta’ and ‘My Type’ especially give two different sides of the group, but both are well produced and stand out from a barrage of hip-hop centered boy groups. ‘BLING BLING’ and ‘B-DAY’ are dated, sound like something Big Bang would have released two or three years ago, and even worse, they do not challenge iKON’s discography. This is sad, as it is a waste of a very talented group!